This distinctive FdSc offers a sound basis in engineering principles and vocational experience. You can top up your qualification to an honours degree and work towards Incorporated Engineer status. This course has been designed to provide specific skills and knowledge for a career within the mechanical and manufacturing engineering sector and was designed with guidance from appropriate professional bodies. 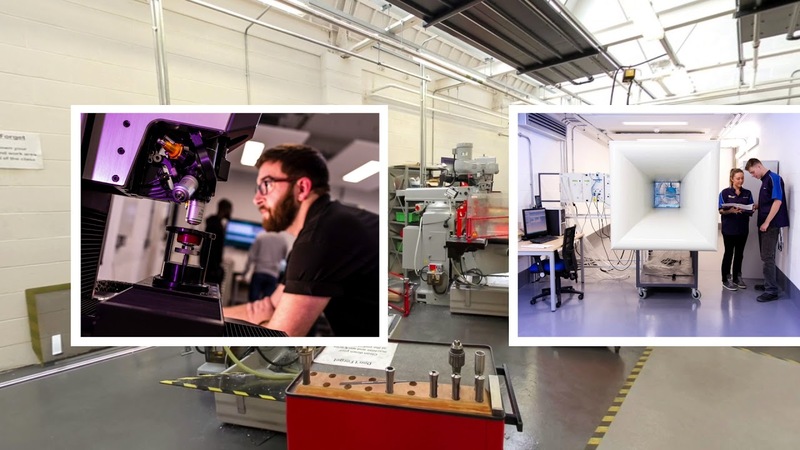 It's a specialist and distinctive course, providing you with the skills and confidence that is required for a career in mechanical/manufacturing engineering. You'll be able to apply your skills and knowledge in a wide range of industries including consultancy, mechanical industry and manufacturing industry both in the UK and overseas. Throughout this practical engineering course, you'll develop the range of specialist skills, knowledge and understanding you'll need to work towards Incorporated Engineer registration. This course will give you a sound basis in engineering principles and vocational experience. You'll specialise in areas such as manufacturing systems and CAD. These subjects are essential to a modern mechanical or manufacturing engineer. You'll also study a number of work based learning modules, carrying out live engineering projects in conjunction with your employer to promote your career development. You can be sure that you'll be learning the latest knowledge and skills in engineering. You'll study a total of 120 credits per year. This will be made up of single or double modules. Real word learning: A significant proportion of the modules that you study on are Work Based Learning modules where you can both learn and apply skills and abilities gained in a real work based context. This course is aimed at the vocationally orientated aspects of mechanical and manufacturing engineering. When you've successfully completed this course you will be eligible to move on to our BEng (Hons) Mechanical and Manufacturing Engineering or BEng (Hons) Manufacturing and Production Engineering with Industrial Year courses, allowing you to top up your qualification to an honours degree with the academic requirements for Incorporated Engineering level.